The Texans enter their Week 17 matchup against the Jaguars with the sixth-ranked scoring defense (20.9 PPG) in the league. Houston has the fifth-ranked scoring defense (20.1 PPG) entering their Week 16 game against the Eagles. The Texans enter Week 15 with the league's fifth-ranked scoring defense (19.9 PPG). Houston boasts the league's third-ranked scoring defense (19.6 PPG) entering Week 14. The Texans enter Week 13 with the league's 5th-ranked scoring defense (20.2 PPG). 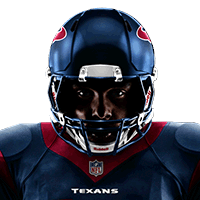 The Texans have the seventh-ranked total defense (330.5 YPG) entering their Week 12 game against the Titans. The Texans enter their Week 11 matchup with Washington as the league's seventh-best scoring defense (20.4 PPG). The Texans enter their Week 9 game in Denver as the league's ninth-ranked total defense (334.9 YPG). Texans defensive end J.J. Watt is nursing a knee injury ahead of Thursday's game against the Dolphins. Houston defensive end J.J. Watt remains tied for first in the NFL with seven sacks entering the team's Week 7 game against Jacksonville. Texans defensive end J.J. Watt is tied atop the NFL's leaderboard in sacks (6.0 sacks) through five weeks. He and Houston will draw a matchup against the Bills in Week 6. Houston surrendered 34 points to the Colts in its Week 4 overtime win. The Texans will draw a matchup with the Cowboys in Week 5. Texans cornerback Aaron Colvin (chest) is considered questionable ahead of Sunday's game against the Colts. Texans linebacker Jadeveon Clowney (back/elbow) is listed as questionable ahead of Sunday's game against the Giants. The Texans allowed 389 yards during Sunday's 27-20 loss to the Patriots. 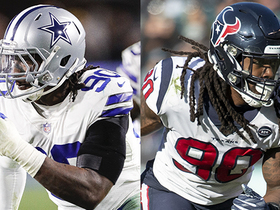 The remains of the Texans starting defense is fully healthy heading into their Week 17 matchup against the Colts. The Texans allow 27.1 points per game in 2017, which ranks last in the NFL. 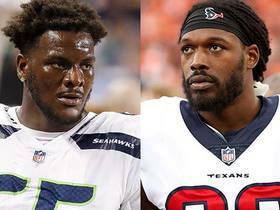 Outside linebacker Jadeveon Clowney is listed as questionable for Sunday's game against the Jaguars as he deals with a knee injury and an illness. Texans cornerback Johnathan Joseph is dealing with a shoulder injury as Sunday's game against San Francisco inches closer. The Texans rank 29th in the NFL in scoring defense (25.9 PPG). 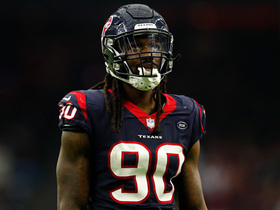 Defensive end Jadeveon Clowney (ankle) will not carry an injury designation in Monday night's game against the Ravens. Defensive end Joel Heath continues to battle a knee injury and is listed as questionable for Sunday's game against the Cardinals. Cornerback Johnathan Joseph (knee) is clear from the Texans' injury report for Sunday's game against the Rams. Texans defensive end Joel Heath (knee) is listed as questionable ahead of Sunday's game against Indianapolis. 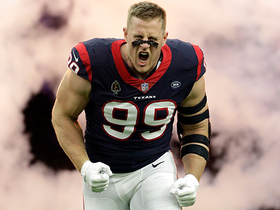 NFL Network's James Palmer details the latest surrounding Houston Texans defensive end J.J. Watt's thoughts on retirement. 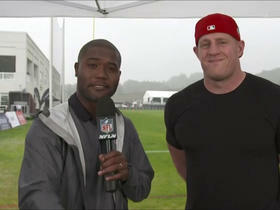 Houston Texans defensive end J.J. Watt talks about injuries, getting back on the field and his teammates. 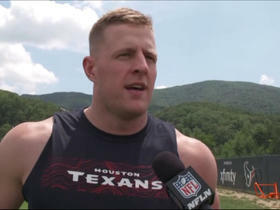 NFL Network's Michael Robinson goes one-on-one with Texans defensive end J.J. Watt on his return from injury and the expectations for the defense in 2018 under defensive coordinator Romeo Crennel. 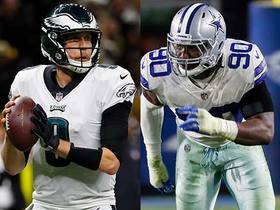 NFL Network's Maurice Jones-Drew pairs potential free agents with their ideal team landing spots. 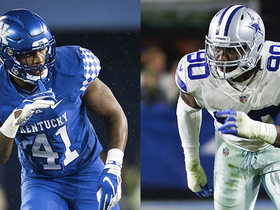 NFL Network's David Carr and Willie McGinest find great team fits for some of the potential top free agents this offseason. 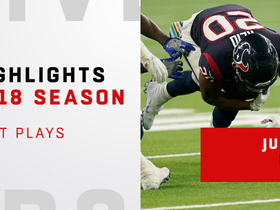 Watch Houston Texans safety Justin Reid's best plays from the 2018 season.